Much as we might like to have a brand new bathroom. It’s not always possible to go for a full upgrade. But our Which? 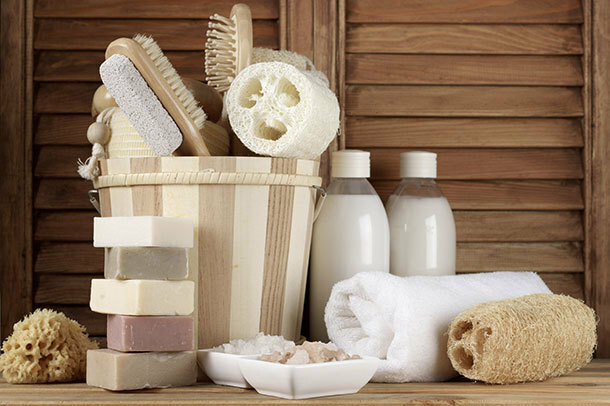 Trusted traders have got plenty of advice for the cost conscious about how to improve a bathroom. Which? surveyed recommended bathroom fitters in 2012 to find out how much you should spend on 12 common jobs, including fitting a new suite, re-sealing the bath and tiling. We contacted a number of Which? Trusted traders at the end of 2017 to bring you a snapshot of more up to date prices. Find out how much you should spend on bathroom fitting jobs. Small touches can make a big impact. You don’t have to replace the entire suite to make changes. New blinds, towels, taps and accessories can make a real difference. Don’t skimp on taps and valves. 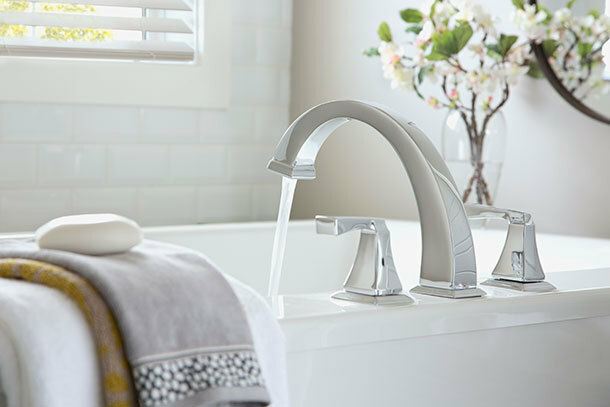 Buy the best taps and valves that you can afford. Spending a bit more now saves money in the long term because cheap fittings will deteriorate as the installation ages meaning you’re more likely to need to call out a plumber. Managing waste disposal can save you money. Traders have to pay business rates to dispose of waste. There's often a minimum charge, which makes it expensive to dispose of small amounts. If you can recycle small items (such as old basins or tiles) yourself or take them to the tip – it could work out cheaper. Don’t get caught out by minimum charges. Some traders will have a minimum charge of half a day, meaning that you could end up paying over the odds for a small job like replacing a toilet or a basin. It might be more cost efficient to combine several jobs that need doing at once. Check who will actually do the work. Ask your trader if they plan to do the work themselves or contract out. If so can they vouch for the quality of the work done by the contractors? Will they oversee all work and maintain responsibility? Find a Which? Trusted Traders endorsed bathroom fitter to bring your bathroom up to date. If you want to change the bathroom suite, updating it with a contemporary colour or style is an easy way to improve a bathroom. And it doesn’t have to cost the earth. Reduce plumbing costs by using the same pipework. Keeping the location of the sanitary ware – the toilet, sink and bath – the same, with the same pipework should reduce the price of the job. Bear in mind that any changes to the plumbing will add to the cost - even moving something like a heated towel rail would mean calling out specialist traders and added expense. 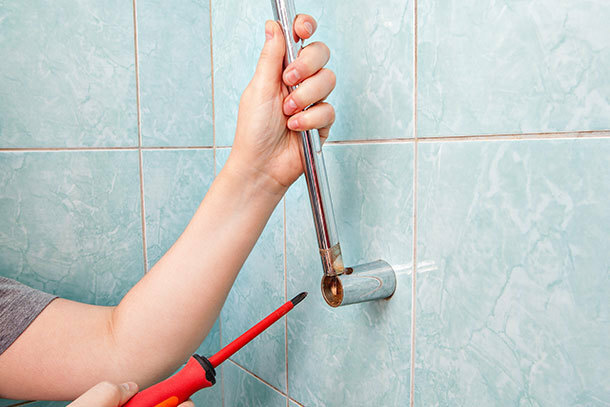 If your pipework is damaged or very old, it may need replacing, which could increase the cost of the job. Have spare tiles on standby. Your bath and wash basin can usually be easily replaced by a bathroom fitter. But you should expect damage to a few tiles in the process. Having matching spare tiles, makes for easy ‘making good’ of these areas. Replace toilets and basins with the same style. Modern 'back to wall' or ‘floating’ toilets, where the workings are hidden behind a wall require different plumbing to older models. A straight like-for-like swap is usually possible, though. If you’d like to upgrade with a complete refurbishment, the Which? guide to planning a new bathroom has lots of useful advice. Tiles are a major part of many bathrooms and can completely change the look and feel of the room. But tiling can be expensive. Follow our Which? Trusted traders’ tips to keep the budget under control. Clean the grouting. Dirty grouting ruins the look of any bathroom and it’s not difficult to return it to sparkling white. You can buy specialist grout cleaner from hardware and DIY stores. You might also want to re-seal the bath and basin, though this can be a messy job and is perhaps better tackled by a handyman or bathroom fitter. 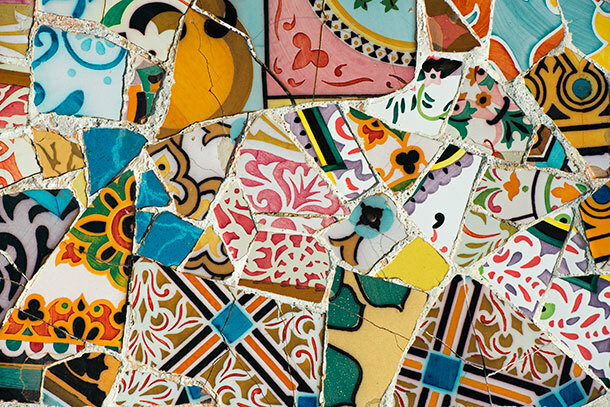 If you want to add or replace tiling – the costs will depend on the condition of your walls. When you remove tiles, the wall often comes away with them. 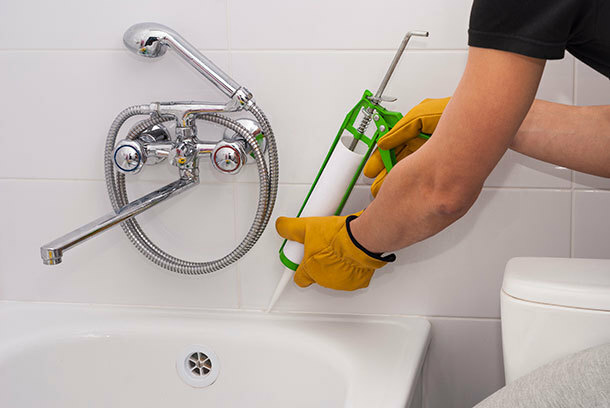 If your walls are in a poor condition, they will need to be prepared, which can also increase costs. Use standard, ceramic tiles. The tiles you choose can influence the price. Large tiles will cover the area more quickly. Small, fiddly tiles can take longer Standard sized ceramic tiles are generally easier to install than stone or mosaics. Employ a specialist. Some traders specialise in tiling whereas others just do it occasionally. Although the results might be the same, it could take an inexperienced tiler two or three times as long to tile a room. Choosing an experienced tiler, who can tile more quickly, will probably save you money in the long run. Find a Which? Trusted Traders endorsed tiler in your area. Bring new life to your shower with a replacement cartridge. Old showers can often be given a new lease of life by replacing this valve that controls the flow and temperature of the water. A new riser rail can smarten up your shower. If the riser rail (the rail that the shower head attachment goes up and down) is discoloured or damaged, then it can be easily replaced, as long as the holes are in the same place and are concealed by the fascia plate. Some manufacturers can supply replacement fascia plates if this is worn or scratched. Reduce your water consumption. You could also consider swapping the shower head for a modern, eco model which can reduce water consumption. But check which models will work in your home. A plumber or bathroom fitter would be able to help you get the right attachments in your home. You can find endorsed plumbers with Which? Trusted Traders. If you want to add a shower to a bathroom, then ‘exposed' showers are ideal. These are fitted directly onto the wall rather than being concealed behind it, so disruption to the bathroom is minimal. Improved lighting or an illuminated mirror can brighten up a bathroom at low cost. A qualified electrician will be able to install LED downlighters, which are cheap to run, in more or less any bathroom. Some bathroom fitters don’t do electrical work. Others might contract it out. But, all electrical work will need to be certified/signed off by a qualified Part P electrician. Freestanding accessories, such as towel rails and trolleys, are a no-fuss way to improve storage. Wall-mounted cabinets are usually easy to add too, provided you have space. Small accessories, such as shower baskets and toilet roll holders, can sometimes be attached using adhesive pads or suction fittings. Adding a heated towel rail usually involves substantial work. But replacing an existing one without major disruption is sometimes possible if the pipes are in the right place. Extractor fans can usually be retrofitted in a bathroom. They remove damp air and are a worthwhile investment since they help prevent mould and improve the longevity of grouting. If your bathroom is not on ground floor level it might take longer to fit the duct through the exterior wall. However you want to improve your bathroom, if you need a reliable professional, there’s a Which? 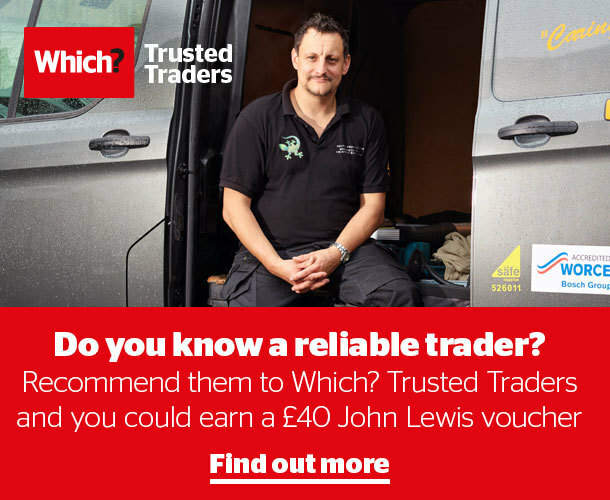 Trusted trader that can help in your area.